South Park Digital Studios has sent out a press release announcing that a new South Park game will be hitting Xbox Live Arcade in Spring 2012. 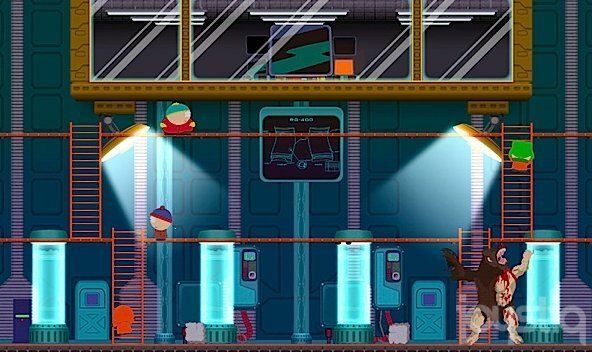 While the first South Park game was a tower defense game, the new South Park game, called South Park: Tenorman's Revenge, will be an action platformer. The game is being developed by Other Ocean Interactive and will be published by Microsoft Studios. According to the press release "Fans will get to play as Cartman, Kyle, Stan and Kenny as they battle Scott Tenorman and his Ginger army." Tenorman's Revenge will feature four player co-op, both splitscreen and online. The trailer will be unveiled at the New York Comic Con tomorrow, 14th October 6:15PM EST (11:15PM GMT), as Chris Brion, creative director of South Park Studios and Todd Benson, senior producer of South Park Digital Studios, along with Mike Mika, head of development of Other Ocean Interactive will engage in an audience Q&A after the trailer debuts.